Two days ago 2 Spanish activists were arrested at the port of Igoumenitsa in Greece. In an act of civil disobedience they tried to assist 8 refugees who wanted cross the border. On Friday December 30th there will be a demonstration at 11:30am at Venizelou statue (Aristotelous square, Egnatia) in Thessaloniki, Greece. The two arrested activists decided to support refugees who wanted to leave Greece in order to escape the appalling conditions in Greek refugee camps where there is lack of about everything. 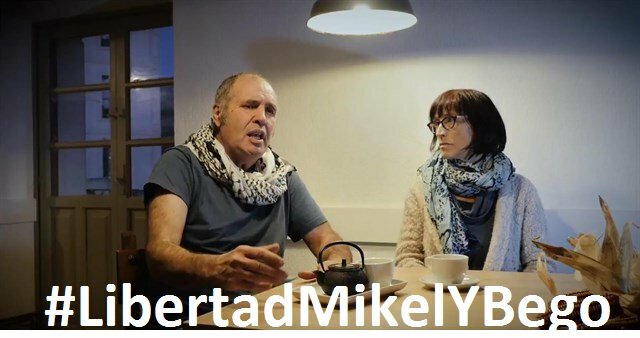 Mikel and Bego didn’t ask any money from the refugees.The two activists wanted to act against the inhuman EU border regime and for the freedom of movement for everybody. Freedom For Mikel and Bego! #RefugeesGR: Border Closures & Fences & Walls Leave Refugees Trapped In #Greece | Enough is Enough!